It was located within a 2 min walk from there pier. The location is ideal. So close to the ocean but still quiet at night. Hammocks make it easy to meet other guests. The best thing about this place was the location. It's right off the main strip! The room and bathroom were good sized too. The a/c was great -- not too cold and kept the mugginess at bay. And the internet was ok while others in the building were out, but got really bad at night. This is better than everywhere else we stayed in the Galapagos, though! 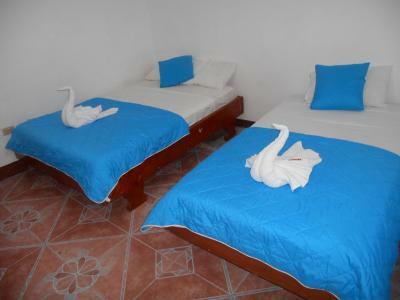 Super clean and ‘new’ hostel. Very close to the port. In the main street, but not noosy at all. 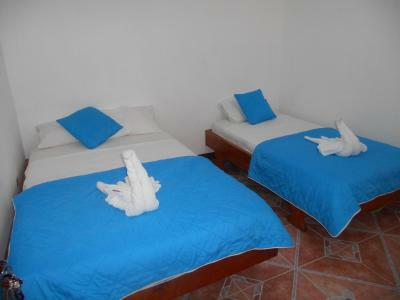 It is one of the cheapest hostels I could find and very comfortable (especially for its price). 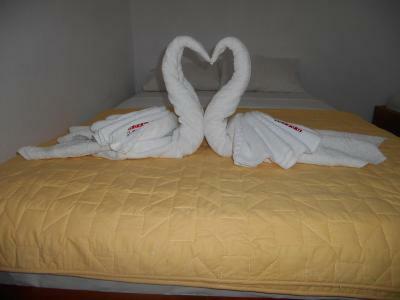 The hostel met expectations. Good cost-benefit for the Galapagos Islands. The staff are very helpful and provided support to the information we asked for. 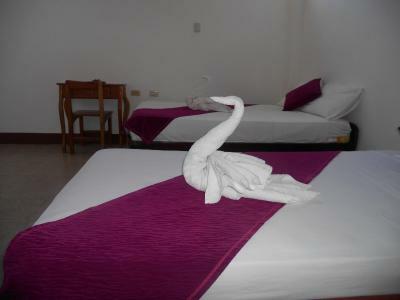 The location in the center of Puerto Ayora is great. 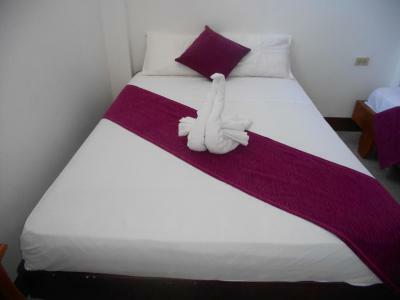 Perfect stay if travelling on a budget. No pretensions, just a good place to sleep after touring. It's a good deal if you are out all day and just in for sleep. Perfect location. 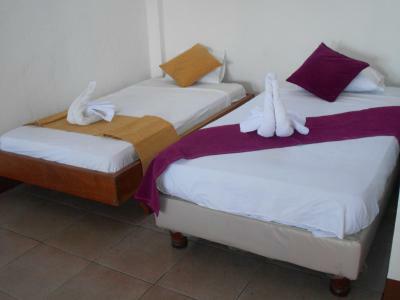 Book the rooms from the 1st and 2nd floor, they have hot water and air conditioning. 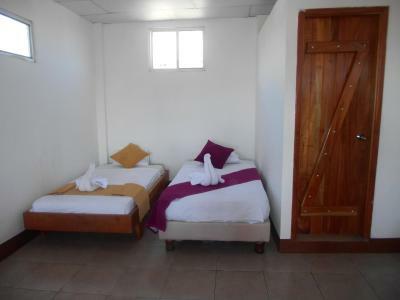 Rooms at the ground floor are tiny, with no ventilation and no hot water. We payed for an upgrade so problem was solved. This stay is perfectly located just across the street from the peer making it easy for after tour relaxation. 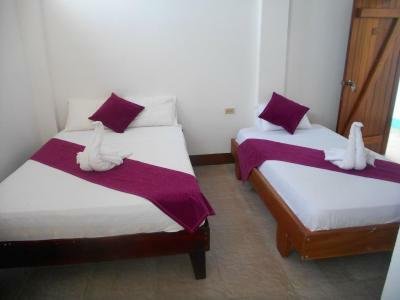 Avoid the rooms at the ground floor as they don't have hot water nor air conditioning. Book the rooms from the 1st or 2nd floor, they are a game changer. staff is friendly, and helpful. water and coffee is provided. 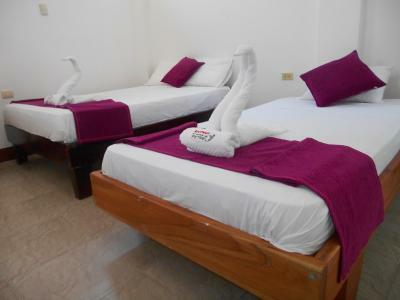 spacious rooms with electrical outlets next to each bed, rooms are cleaned everyday. 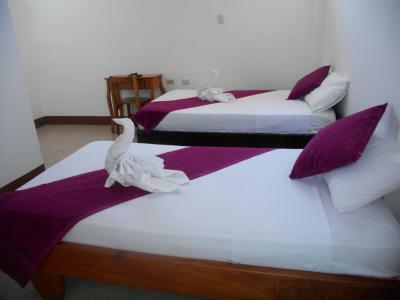 El Descanso del Petrel This rating is a reflection of how the property compares to the industry standard when it comes to price, facilities and services available. It's based on a self-evaluation by the property. Use this rating to help choose your stay! 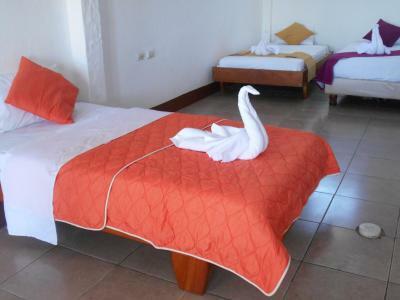 El Descanso del Petrel offers accommodations in downtown of Puerto Ayora. 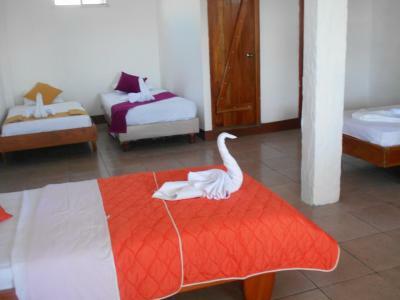 The property is just a 10 minutes' walk from the beach. Just 650 feet away guests will find the Kioscos street, a main commercial area. Some rooms include a seating area for your convenience. Certain rooms have views of the city. 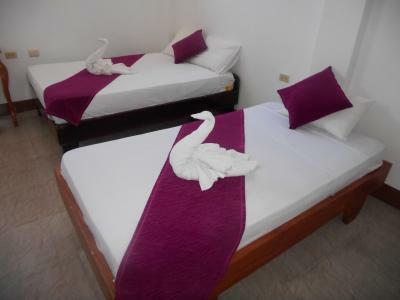 Each room is equipped with a private bathroom that features with a shower, a cable TV, air-conditioning, and environmentally friendly toiletries. 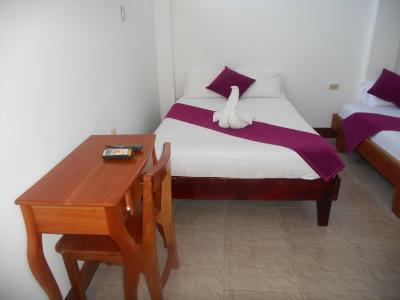 El Descanso del Petrel features free WiFi. There is room service, a tour desk and shops at the property. Guests can enjoy the sea view from the property's terrace. 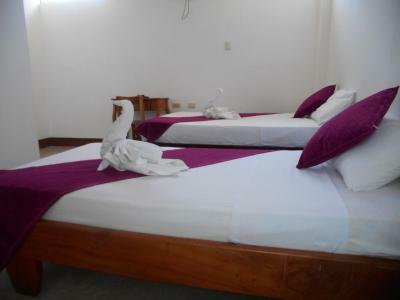 El Descanso del Petrel is just 2 mi away from Galapagos Beach at Tortuga Bay. Seymour Airport is 21 mi from the property. 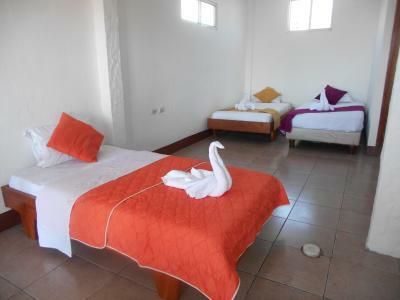 뀐 Located in the top-rated area in Puerto Ayora, this property has an excellent location score of 9.2! 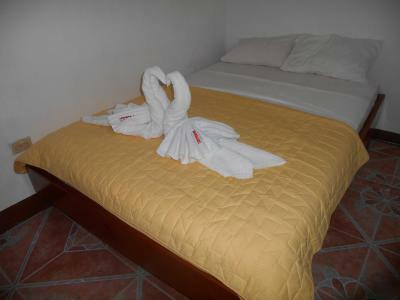 When would you like to stay at El Descanso del Petrel? 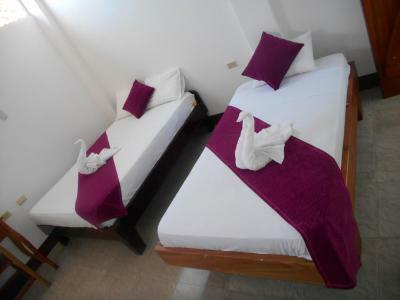 This double room has air conditioning, private entrance and tile/marble floor. 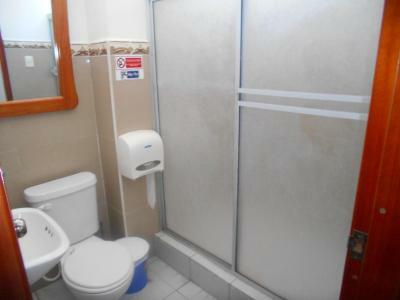 It features a fan, hot water shower. 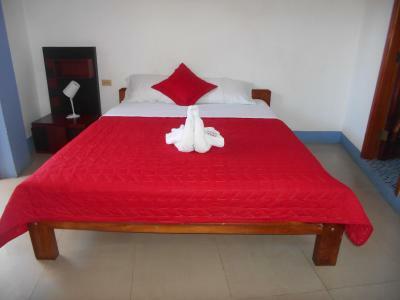 This double room features a fan, hot water shower, a TV with cable channels, WiFi access and tile floor. House Rules El Descanso del Petrel takes special requests – add in the next step! Good spot. Close to the water! Reception isn’t open long enough. Doesn’t open until 7:30, and closes early. So if you need help early or late there’s no one there. 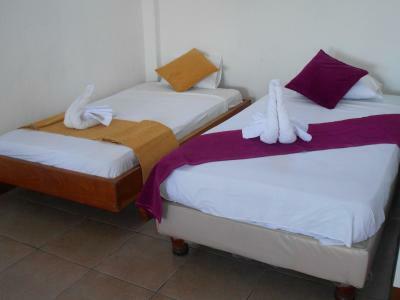 Comfortable beds and a great location. WiFi didn’t reach our room at all. The staff regularly left work early and wasn’t at reception during the posted hours. There was no hot water in the shower (though that wasn’t much of a problem considering how hot the island is), and staff repeatedly took towels and forgot to bring back the right number. A/C is good and the room was clean. Good value for your money. The staff was hard to find during the first hour or two of check in. When I arrived I waited approximately 20 min for someone to answer the front desk. Attention to details could be better, and customer service too. No kitchen to make your breakfast! Very clean, hammocks on the rooftop! Quiet! Close to the haven! There was never anyone at reception, people found it difficult to check in etc. In 5 days I saw someone there once! There was no one to ask advice about what to do on the island which made it quite disappointing. 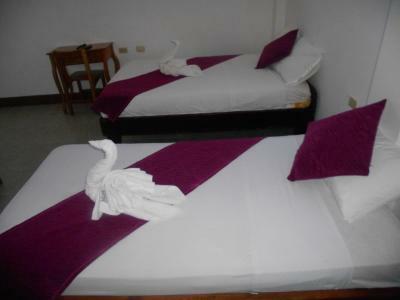 Comfortable single beds in dorm room. Free filtered water refill. So central 2 min walk from main pier and close to shops etc for last min souvenirs. Also close to all agencies to check out deals..
Got an electric shock from the shower. Reception isnt open very often. Cheapest rooms available in Santa Cruz.